It’s not easy to relax with our busy schedules these days. At the end of the day, it’s not about deadlines or meetings, it’s about taking some time for yourself. Do something positive for you and your family. Unwind and enjoy an in-home spa or hot tub from the comfort of your own home. The heat from a hot tub will relax your muscles, ease tension and reduce stress, while the jets from a spa can provide a soothing massage. Relaxation is beneficial to your physical and mental health, lowering your blood pressure and soothing your muscles. Sit back, relax and enjoy your in-home spa or hot tub. There are many medical benefits of owning and using an in-home spa. Studies have shown that heat and water massage can reduce muscle pain and arthritis symptoms. Spas and hot tubs can also improve cardiovascular health and sleep. When you soak in a hot tub, your blood flow is increased, warming up your muscles. Your body re-circulates the heat within, delivering therapeutic results to your muscles, while reducing blood pressure. Furthermore, your central nervous system’s sensitivity is dulled, bringing pain relief to joints, muscles and other chronic aches. 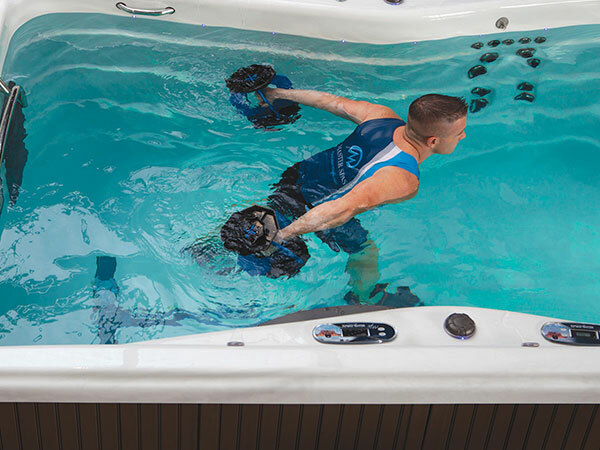 Swim spas are perfect for exercise and specialized training, keeping your workout routine in check and your training tailored to you. It’s easier to relax when you have privacy. Having your very own in-home spa or hot tub means you don’t have to share with strangers and members of a spa or fitness facility. Imagine how easy it is to relax at home with a water massage. The privacy of your in-home spa or hot tub improves your mental health by allowing you to focus on your relaxation and fully enjoy the benefits. Privacy also means you have exclusive use of your spa or hot tub, allowing you and your family recreational benefits without worrying about the cleanliness of public use spas and hot tubs. Keep your mind, body and overall health in check with an in-home spa or hot tub. Hydrotherapy uses air and water to deliver direct massage to your muscles, while heat provides amazing relaxation and relief for chronic muscle pain, joint pain, arthritis and high blood pressure. The overall health improvements an in-home spa or hot tub can provide will help you feel invigorated, relaxed and recharged. 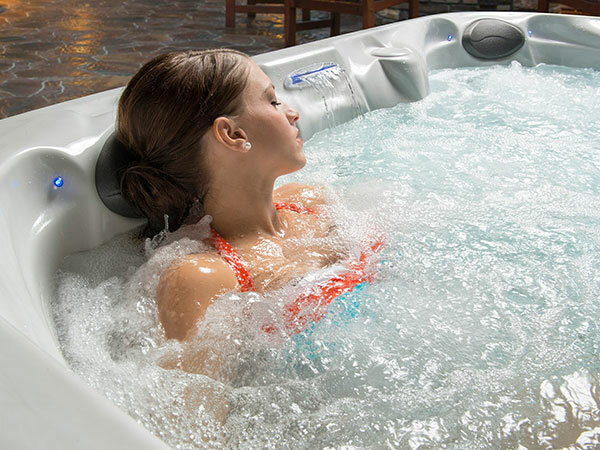 At Home Innovations, we know spas. We are one of the largest volume spa and swim spa companies in the nation, making it easy for our customers to enjoy a relaxing, in-home spa experience. We are a TradeCertified™ dealer with thousands of customers across the Midwest. When you purchase a spa, hot tub or swim spa from Home Innovations, you’re working with a company that demonstrates excellence on all levels. 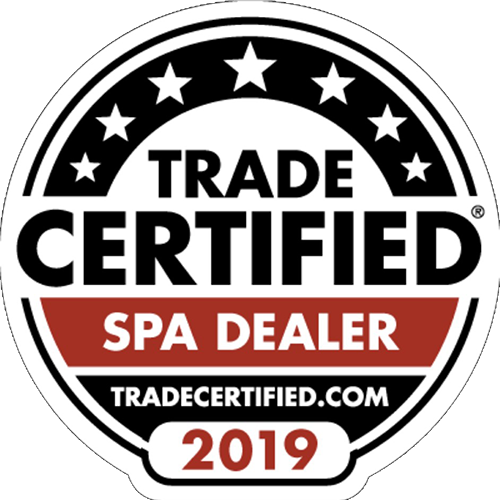 Since less than 5% of local hot tub dealers qualify for the TradeCertified™ dealer certification, you can be sure you are getting top knowledge and personalized spa tailoring that will fit your lifestyle. Our customers love the many benefits of a private spa. The therapeutic results of a private spa, ranging from aquatic therapy and exercise to stress relief and jet massage, can help people with chronic pain and stress. There are so many reasons to enjoy the luxury of an in-home spa or hot tub. An in-home spa allows you to enjoy a relaxing and private recreational environment with your family. What would you do with an in-home spa? Take some time to relax and recharge. The best thing about owning an in-home spa or hot tub is, at the end of day, time is yours. Visit us at our Omaha and Lincoln showrooms to find out more on how a relaxing and rejuvenating in-home spa, hot tub or swim spa can benefit your lifestyle. We deliver and set up your spa quickly, so you can enjoy the benefits sooner.